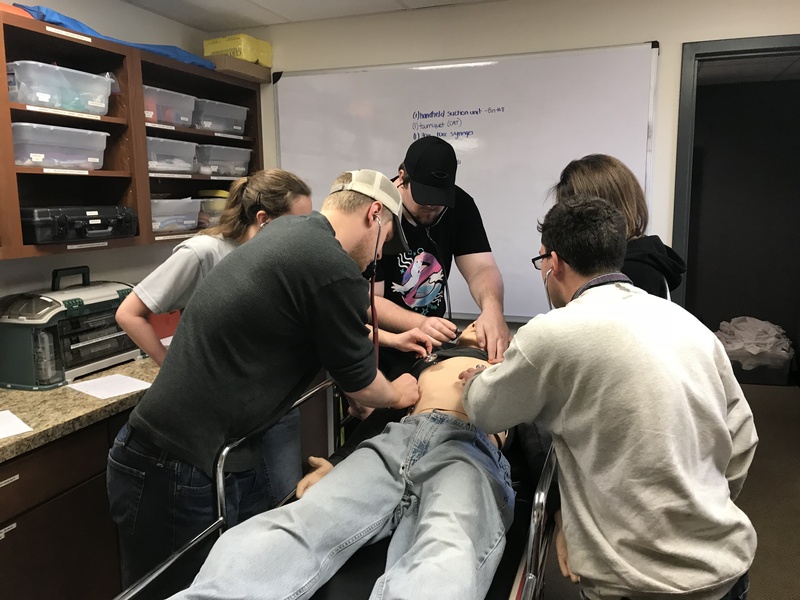 The Kirksville Area Technical Center (KATC) is accredited by the Commission on Accreditation of Allied Health Education Programs (www.caahep.org) upon the recommendation of Committee on Accreditation of Education Programs for the Emergency Medical Services Professions (CoAEMSP). The Paramedic (NRP) program is designed for the student who desires education with a career goal as a paramedic. A certificate of completion will be offered upon completion of the curriculum and successful passing of the National Registry Exam. The certificate of achievement from KATC will be awarded after the student has completed all program and certificate requirements. The EMTP curriculum meets all requirements as outlined in the U.S. Department of Transportation (DOT) and the Emergency Medical Technician-Paramedic National Standard Curriculum. The program is 1,400+ hours in length and based on specific objectives. The didactic/classroom phase includes 600+ hours of instruction. Activities include lectures, skills lab sessions, demonstrations and simulations. The second phase is completed in the hospital environment where the student is provided the opportunity to apply the cognitive knowledge and psychomotor skills gained in the classroom setting. The student is under direct supervision of a physician or registered nurse and will participate in direct patient care. The student must complete at least 354 hours of clinical/hospital experience. The third and final component of the paramedic program is the field rotation phase. The student will complete 300 hours and apply the knowledge and skills gained in the classroom and hospital under the direct supervision of a preceptor that is currently functioning in the role of a paramedic. To apply for the Paramedic program please complete the Paramedic Application & Enrollment Packet and submit as instructed within the packet. Paramedic Students practicing skills in one of four fully stocked breakout rooms!